I love trying different skin care products from South Korea!! They know what they're doing - I've tried almost every American skin care treatment and none have worked thus far. 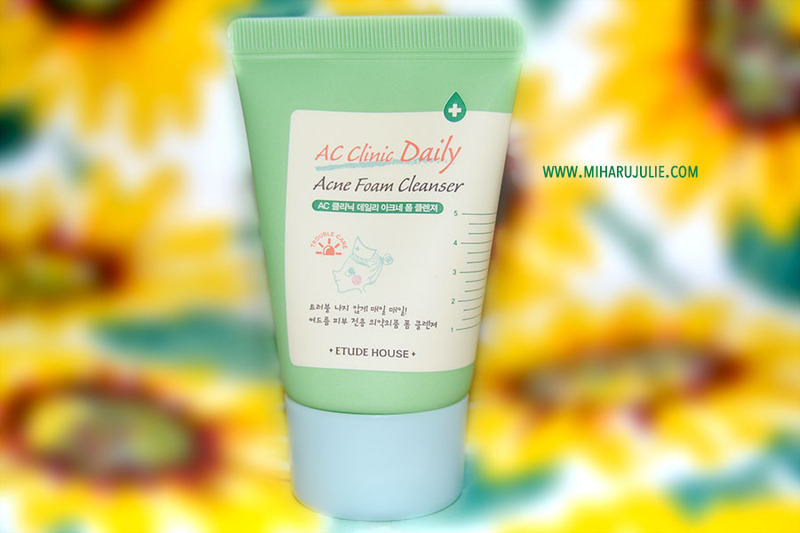 The AC Clinique line of Etude House is designed to prevent and heal acne, and until recently only features facial wash, toner, and moisturiser . Two new products were recently added to the collection (labeled "intense") that have the sole purpose of spot-treating pimples as they come. 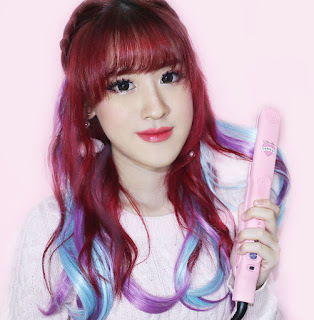 I've tried the famous AC Clinic Intense Pink Powder Spot and i'll review soon. 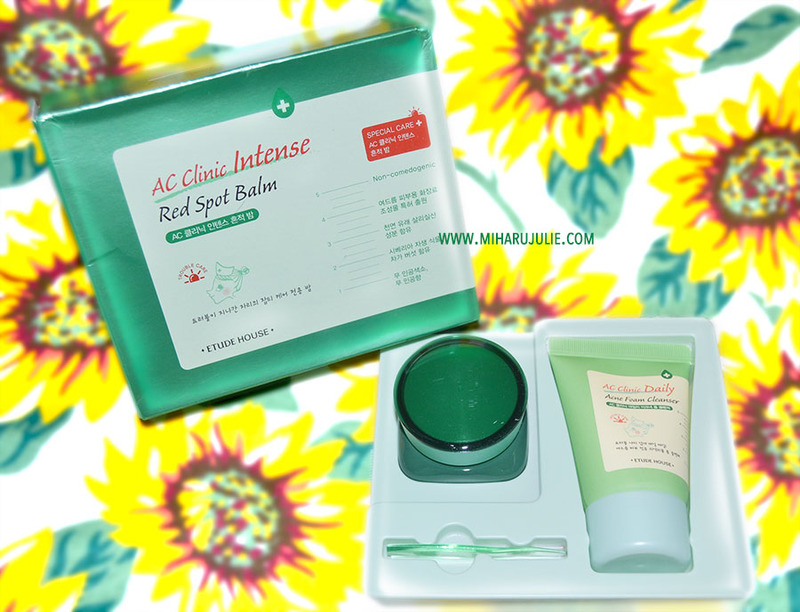 Formulated with Madecassoside (skin healing agent), Salicylic Acid and Hinoki Cypress extracts, AC Clinic Red Spot Balm heals, clarifies and soothes facial trouble spots . Specialized target heals and brightens blemishes with a specialized formula. Apply spot treatment directly too pimples and blemishes, after using gel lotion. Avoid excessive facial rubbing. The product comes in a glass container with a sticker label, and a spatula which is very helpful when you’re nearing the end of your product. The packaging (and even the box) is green in color, but the product itself is white. I don’t really like the packaging as the shape can make it quite difficult to scrap the product out and there can be product wastage. It is a balm texture which goes on easily but it can be unsuitable for day use for some as makeup might go on patchy. I usually only use it at night. Etude House’s Red Spot Balm claims to help heal and soothes facial trouble spots, so I used it for that purpose. This is a product that requires patience. It does lighten scars but it takes weeks. The bigger and the darker the scar, the longer it takes to work. I only use it when my pimples have been popped and in the healing stage . Upon using this product religiously for one month straight, I noticed that it helped in calming those angry red pimples that are oversensitive and bother you for days. It’s more of a drying agent for your acne. My skin is oily and acne-prone sometimes. I use this foam cleanser every night and I LOVE it . Be aware your skin will feel somewhat tight and dry after the first few uses, but after the first few uses your face will feel refreshed and super clean for hours. Even better, after about a week of using this, the tight dryish feeling went away I've had this for about 2 months now & it's my staple. Skin feels really soft & not over dried. I still use moisturizer, but no wash will hydrate u completely . It's really helping my pores out & my Acne has tamed a bit. Of course Acne will always have to run it's cycle, but it's not so red & painful anymore. 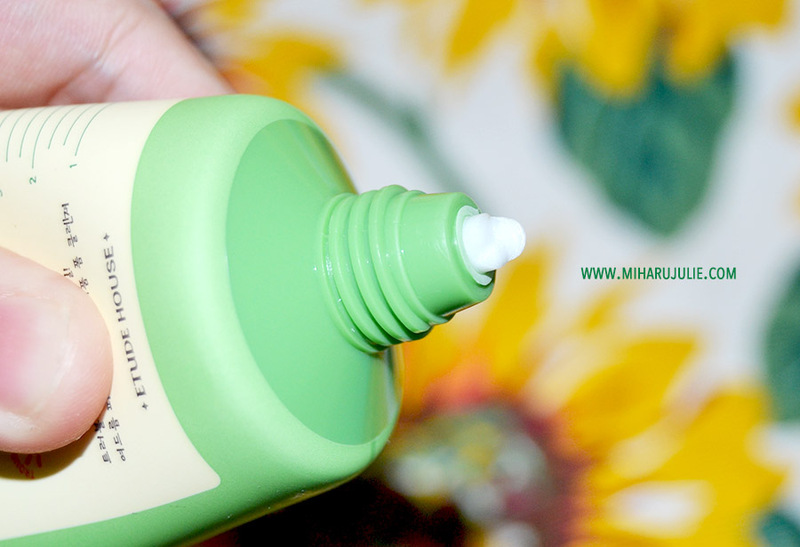 I've been wanting to try more Asian skin care beauty products! Great post! When it comes to skin care, it's about more than facials. Non-surgical procedures like chemical peels, laser skin resurfacing, microdermabrasion and Botox treatments are extremely popular and very common.